If you’re looking for a discussion on industry consolidation, you’ve come to the wrong place. True, media and entertainment companies are merging and mating at a quickening pace, as this online article from the summer of 2017 attests. But the shrinkage we’re talking about here is of the technology variety. Across the board, from traditional operations to content delivery to business systems, the media and entertainment industry is moving from macro to micro. We’re going granular — taking big, bulky things and breaking them into smaller, much more manageable chunks. The adoption of a microservices architecture appears to be a good candidate for the top technology trend of 2018, considering the attention it started pulling in at the end of last year. Everyone is buzzing about the benefits of breaking large, self-contained applications into tiny components that represent discrete units of functionality. Imagine Communications, in fact, defines a microservice as the smallest unit of functionality that can be provisioned in a network to provide a specific business value. Why is going small such a good thing? Consider the differences in flexibility and malleability between building something out of cinderblocks and building something out of sugar cubes. By constructing a service out of small, independent components, tied together through open interfaces, media companies are much better equipped to make timely adjustments to workflows — whether that’s scaling up or scaling down, or integrating the latest technologies — to meet specific productivity and market demands. Microservices-design principles allow media professionals to fix or swap out discrete functionality without disrupting the remaining sugar cubes. 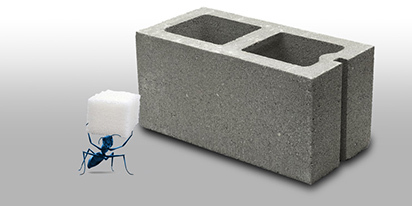 Try replacing a cinderblock without compromising the integrity of the entire edifice. Paradoxically, when it comes to recapturing dominance in the media and entertainment industry, the new mantra is: Go small, or go home. That’s not even taking into account that these tiny building blocks are the same construction material that new media companies, including Netflix, Hulu and Facebook, are using to build businesses that are looking more and more like the biggest threat to broadcasters, distributors and other traditional media companies going forward. Only a microservices-based, or cloud-native, service can exploit the many benefits of virtualized and geo-dispersed environments. Paradoxically, when it comes to recapturing dominance in the media and entertainment industry, the new mantra is: Go small, or go home. At some point in the future, if it hasn’t already happened, a majority of entertainment and news content will reach viewers via Over-the-Top (OTT) connections. The defining characteristic of that video is that — thanks to the magic of adaptive bitrate (ABR) technology and HTTP transport — it is delivered as a series of tiny fragments, rather than a continuous stream. The transition from transport streams to fragments, similar to the microservices example, fortifies traditional content distributors, like Pay-TV providers, with all sorts of performance and efficiency benefits that come with dealing with the diminutive. In a fragment-based video distribution environment, quality degradations are much easier to correct, ads much simpler to insert and content much easier to capture for time-shifted playback. Content distributors understand the superiority of fragments to streams. They know that migrating away from transport streams to fragments would allow them to eliminate multiple transcoding operations, unify distribution and ad insertion into a single infrastructure, move toward a software-only architecture and free them to dedicate all future infrastructure investments toward the modernization of their networks. The issue is that many of their subscribers still consume content the traditional way — through a set-top box, which understands streams, not fragments. The good news is that distributors now have the ability to insert a fragment-to-stream gateway at the edge of their networks, allowing them to move to a unified distribution architecture but still serve existing subscribers attached to STBs. This maneuver, like the move to microservices, will allow content distributors to level the playing field with the likes of Netflix, which transacts business strictly in fragments. Just one more example of how a small stick is now mightier than a large club. If the devil is in the detail, media companies will need to get seriously satanic if they want to sharpen their competitive edge — and keep it sharp. Data, down to the finest detail, is now the currency with the most spending power in the media and entertainment industry. The more granular that media companies can get when it comes to knowing their networks, their audience and the way their audience is consuming content, the richer they will be. Over the past 10 years or so, the level of insight into customer data has descended from 10,000 feet to ground level. Ad targeting is growing increasingly sophisticated, stimulating a sift from ratings-based to impression-based monetization models. Content recommendations, as well, are becoming much more accurate. But when it comes to transforming the vague into the precise, we’re just getting started. The power of big data and artificial intelligence is now being trained on production-oriented tasks, such as automated closed captioning and metadata acquisition. AI-powered algorithms are now able to analyze every nook and cranny of every frame of video, making it possible, for example, for a sports production team to sift through a mountain of metadata and put together a montage of great plays in a few seconds. AI essentially turns haystacks of information into needles of insights, which might be the best metaphor yet for how traditional media companies can advance their businesses in a bigtime way by focusing on all things small. Which leads to the big question: Is your technology small enough?